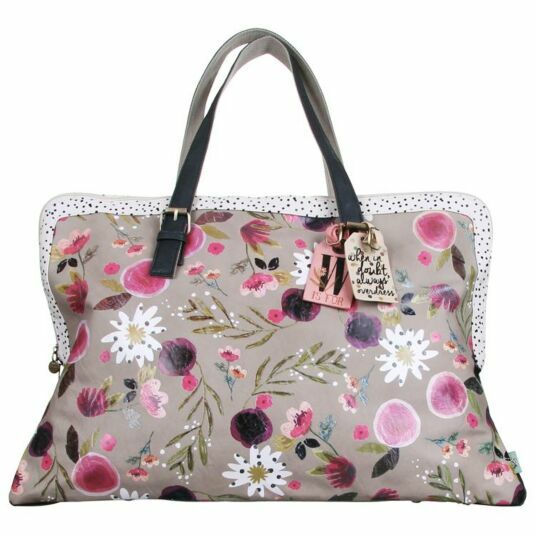 This capacious weekend bag is large enough to accommodate all your overnight needs, including a towel! The exterior is pale beige, with a lively floral pattern in shades of pink, purple, green and blue. The base and handles are charcoal grey, and there are four metal studs to protect the base fabric. 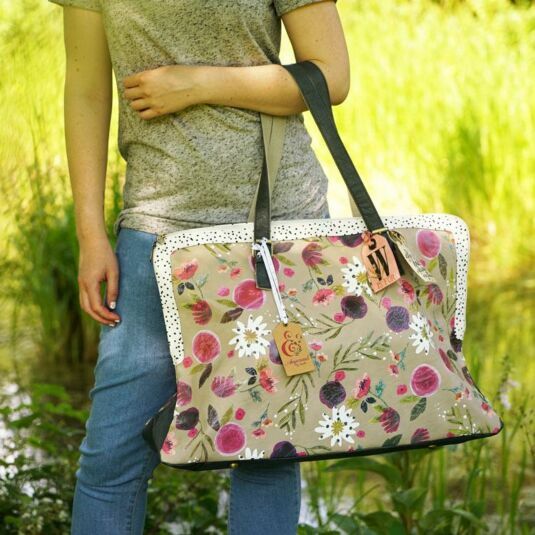 The straps are canvas backed for extra strength and attach to the bag with buckles. Two labels are attached to one of the straps, one pink, one cream. They have plain backs, which could be written on, and one is printed with the words: when in doubt, always overdress. A perfect gift for travellers of all ages, from teens to mums to grandmas. 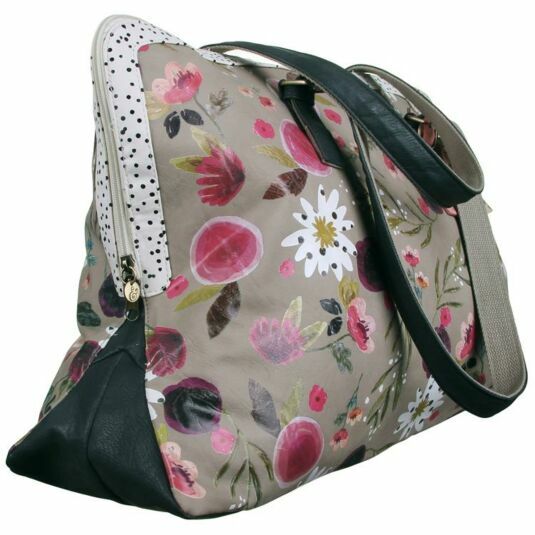 The Ampersand range from Disaster Designs is a collection of varying sized bags and purses embellished with carefree floral designs. 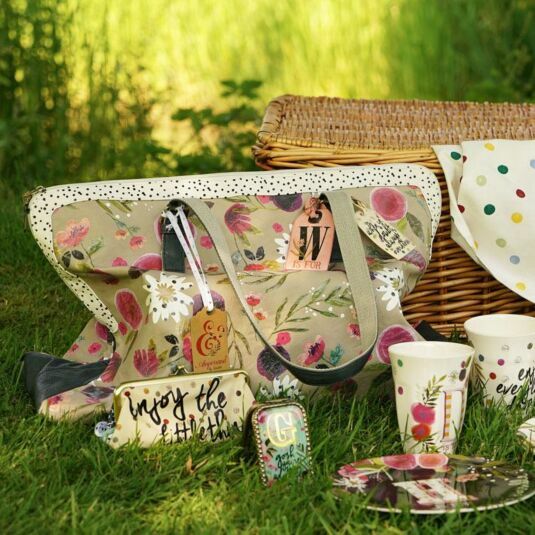 The items are further decorated with appliquéd individual letters based around a wander through the alphabet, echoed by alphabet printed linings. Quotations in handwritten style underline the theme, each relating to the letter on the other side. Scattered multi-coloured hole-punch dots are printed across the faux leather textured pieces which have been created in a muted palette of pretty shades including pink, cream, tan and black with splashes of brighter colours such as orange, magenta and turquoise. The overall feeling is one of femininity combined with a quirky, unfettered spirit.